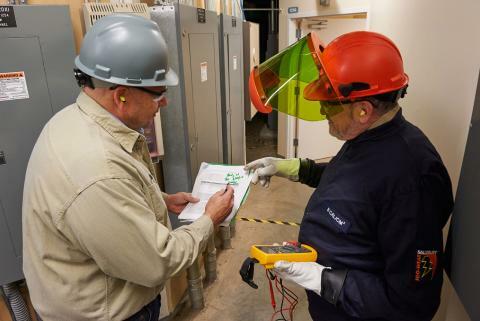 When the jobsite whistle blows and Fluke tool users head for home, they know the workday is far from done. Household tasks are waiting. 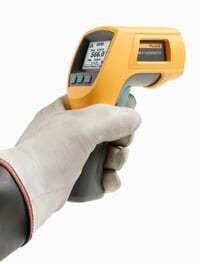 We were curious to know if customers use their industrial-strength Fluke test tools to solve problems around the house. Quick answer: you bet! 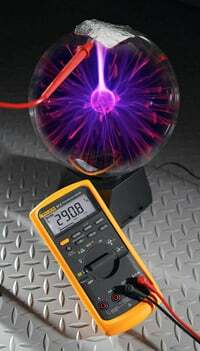 Fluke 289 True-RMS Industrial Logging Multimeter comes in handy at home. Fluke 289 comes in handy at home. Some 63 users answered our 2014 survey, including 46 (73 percent) in the USA, nine in Canada, three in India, two in Panama, and one each in Japan, Lebanon, and The Netherlands. We heard from 18 (28 percent) who listed their job as maintenance technician, six in-house electricians, five electrical contractors, and an equal number of HVAC/R technicians. There were two building inspectors, two process technicians, and three R&D workers. Some 17 said "other" was their job: among them a vo-tech teacher, calibration lab manager, field support technician and…a homemaker. Where do they work? One in three respondents (21) works in industry. Seven work in hospitals and an equal number in government and in commercial operations. Six work for utilities. In the garage, the driveway, the furnace room, and the family kitchen, these tech-savvy users put their Fluke tools to work solving both common problems and those more unusual. The rewards are satisfying indeed. "At home I used the recording ability of the Fluke 289 [True-RMS Industrial Logging Multimeter] digital multimeter (DMM) to check the starter motor in my Chevy 1996 Cavalier," said Alvin, a retired instrument technician in Panama. "Working with my wife I recorded the starter solenoid voltage drop. I was able to see it after several starts, and found that it was the solenoid and not the starter motor that was intermittent. A new solenoid and it was FIXED. Seeing the voltage drop on the DMM screen is what made it so EASY to find the problem. 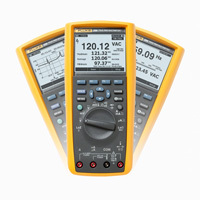 Thanks for an excellent device in the Fluke 289 with its recording features. Sincerely, Alvin." "I used the digital multimeter for tracking down low performance from my golf cart," reported Michael, a process tech in the US. "Battery voltage and cables all looked great when the cart was at a standstill. I also used a battery load tester to check batteries, which were all good. I then used my Fluke 289 DMM on the ohms scale to check each battery wire through the 36 volt system. I found 3 bad cables that had 9 or more ohms in a short cable between the batteries. I replaced the cables and the cart performance came back." See you on the links, Michael. "I was having problems with my external TV antenna and suspected a cable problem," reported Pete, a photographer and video producer in the USA. "I used the Fluke 112 digital meter to test cable continuity - that led me to replacing the cable from the antenna all the way to my TV receiver. Having the right tool takes the guess work out of problem solving." Scott, a maintenance technician, used his Fluke 289 DMM (plus a few household items) to troubleshoot a project. "I was trying to track down a temperature-related failure on an electronic prototype circuit that is to be used outdoors, so it must operate at typical Illinois temperatures: -20 to +110 degrees F," he said. "By using the logging capabilities, my refrigerator and a heat gun, I was able to isolate the failing components." For Jeff, a data center electrician, the job was a family affair. He used his Fluke DMM for "helping my father work on his train layout. He has a lot of turn out switches and got the wires mixed up on install. I helped him track them all down." "I own a car wash and my bill changer was not working properly," reported Anthony, a maintenance technician in government. "I had to call the vendor, who asked me to check voltages on the change machine. I told I could do that but he also stated that I needed a true-RMS DMM. I said no problema. He said I was one of a few owners who had the right DMM (the Fluke 87V Industrial Multimeter) for checking low voltage on their electronic change machine. Found the problem and ordered the part." "I had to replace a garage door opener, which had reed switches to control when the door stopped as it opened or closed," said Ralph, an industrial maintenance manager. "Rather than use the LEDs, which indicated the current limit had tripped, I used the continuity function of my Fluke 87V DMM to determine the state of the switch contacts. With the door stationary and first in the open and then in the closed position, I positioned each of the switches. All of the trial and error was eliminated and it only required a couple of minutes to get the opener adjusted perfectly." What's cooking? Let's test and see! "I was baking a cake and it needed to get to a very precise temperature so it would not 'fold' on itself," said Hugo, a Canadian electrical contractor. "So I used the thermocouple that came with my Fluke 789 ProcessMeter™ to make sure that the setting on the oven and the actual temperature were the same." How sweet it is. It was a pre-kitchen experience for Gregory, who works in government R&D. "Whitetail deer hunting is popular in Iowa and butchering is part of the experience," he said. "I use the Fluke 62 Mini Infrared Thermometer to monitor the temperature of the deer carcass to properly age the deer. It must be kept at temperatures above freezing and below about 40 degrees [F] for best results." "I was on call on a Saturday afternoon working on an a/c unit," reported Mike, a US HVAC/R technician. 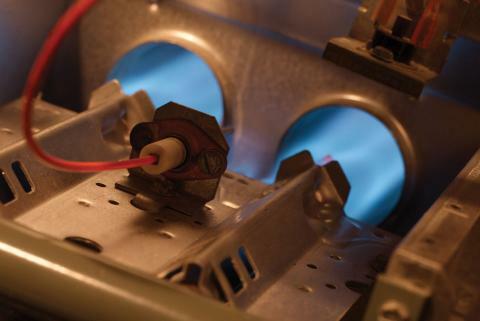 "A friend called and said he was having an emergency heating problem and he was hoping I could help. I thought it was weird since it was summer. I finished up and ran over to his house. His emergency was his smoker thermometer went out and he hoped I had something to help. I laughed and pulled out my Fluke 566 Infrared and Contact Thermometer. Spent the afternoon chuckling to myself. Thought it was funny I was using a $300.00 meter to check a pork shoulder. It turned out good. Best $300.00 I've ever spent. It got me a pulled pork sandwich!" The sweet taste of troubleshooting isn't reserved for the guys. Let's hear from Chris, a homemaker. "Last summer the condenser stopped working at our home," she said. "I know a little about heating and air from when my husband studied industrial maintenance when we were dating in college. I could not call him at work so I went down to our basement, where he has a large selection of technical books. I looked at one of his books on troubleshooting heating and air. I found the steps and used my husband'sFluke 116 DMM. "I checked for voltage and found 220 volts on the relay, then disconnected the power and verified the power was off, then proceeded to check the capacitor and found it to be bad using the capacitance selection on the meter. I checked with the local hardware store in town and found the capacitor and installed it. After I made sure everything was buttoned up, I turned the power back on, set the thermostat and enjoyed the cool air. My husband was shocked at what I did…and treated me out to dinner."